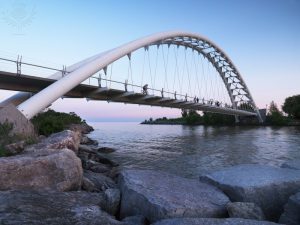 The Humber River Arch Bridge in Toronto. Britannica ImageQuest, Encyclopædia Britannica, 25 May 2016.
quest.eb.com/search/167_4034014/1/167_4034014/cite. Accessed 12 Nov 2018. Librarians as engineers? Not a great leap when you consider that librarians help students to build bridges from information to insights, making connections that add meaning to the research process. Making connections is a powerful thinking strategy that engages students in active and meaningful learning. In a recent publication by The University of Chicago Consortium on School Research, “Supporting Social, Emotional, and Academic Development: Research Implications for Educators,” the authors state that “students need new concepts to link in some way to things they already know, or they will not have the mental maps that their brains need to process the material;” building connections that reflect students’ interests or goals deepens the learning (Allensworth et al 10-11). Generate: Students mentally pictured the type of signs they might see in National Parks and brainstormed the reason for the signs. For a dramatic example of deterioration of a National park, students also viewed an interactive graphic of Salt Lake Water Woes (earthobservatory.nasa.gov) and brainstormed cause for the drastic depletion of water. 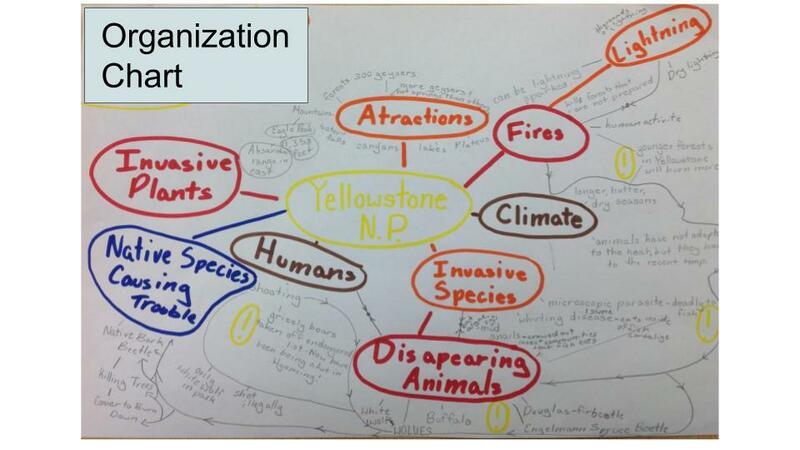 Sort: Students pointed out which of the reasons were Human Factors that might harm the National Park, such as making bears dependent on human food or damaging native plants or water use and irrigation for agriculture depleting the Great Salt Lake. This process of modeling strategies and guiding students to make connections has been exciting. I challenge librarians to put on your hard hat, pick up a Visible Thinking tool, and experiment with building your own bridge to knowledge. 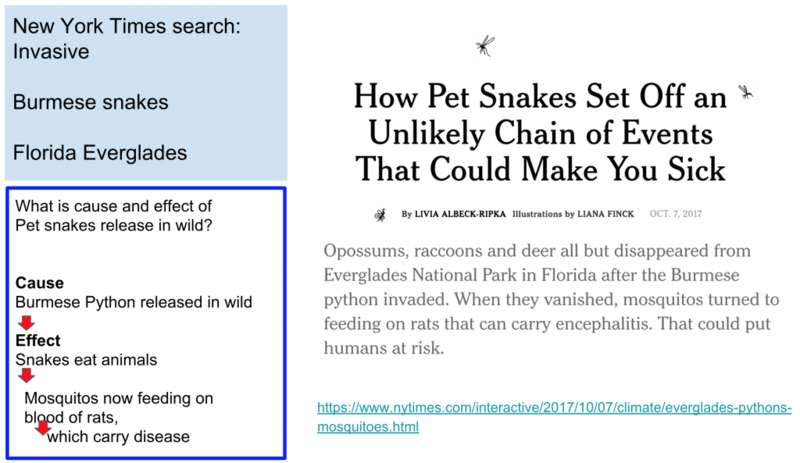 This entry was posted in Uncategorized and tagged literacy, making connections, reading nonfiction, visible thinking by Joan Lange. Bookmark the permalink. This is a great project, Joan. The basic model can be used for lots of grades and projects. Thanks for sharing.